: A mass trauma situation, which turns out to be a ferryboat accident, challenges the whole staff of Seattle Grace Hospital. Richard finds difficulty in coping with his separation from his wife and dyes his hair "for the ladies", which becomes an internal joke between Mark, Burke and Derek. Cristina tries to tell Meredith about her upcoming marriage, but doesn't have the strength to. George promises to find a woman's son, who has been separated from her at the accident. The woman refuses to go into surgery until she is assured that her son is alive. Izzie has to take care of a man who got stuck between two cars on the ferry, but nobody helps her due to the large number of injured people. Alex rescues a pregnant woman with severe wounds on her face, and promises to take care of her. 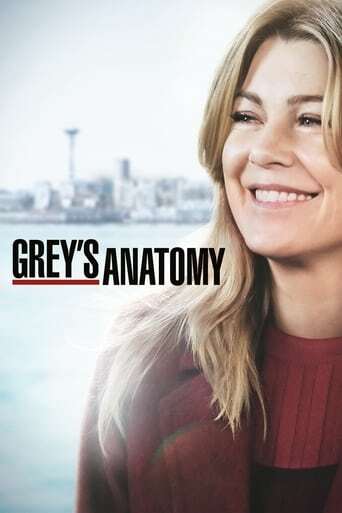 Meredith looks after a girl who has been separated from her mother after the accident, but accidentally falls into the water and drowns, with nobody but the little girl as a witness.